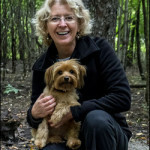 Helen is a founding member of the Southern Ontario Polymer Clay Guild She has been published in Step-by-Step Beads and PolymerCAFE and has self-published tutorials. She is known for her signature style of contemporary jewelry. 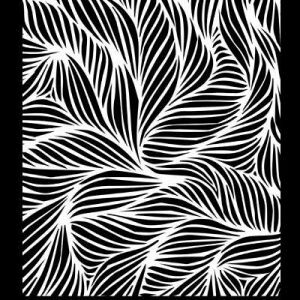 Her love of texture led to the creation of a line of texture stamps that have sold successfully world-wide. 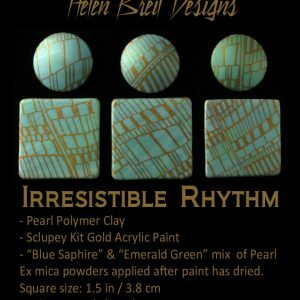 Exploration of design and the development of new surface techniques fuel Helen’s continued passion with the medium of polymer clay. 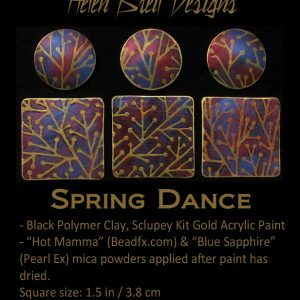 Helen Breil’s high quality and original textured stamps are generating excitement with clay artists around the world. Her stamps work with metal clay, ceramic, metal etching and paper projects. 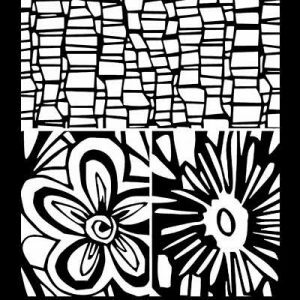 Ignite your creativity with texture stamps and easy to understand tutorials and books by Helen Breil. 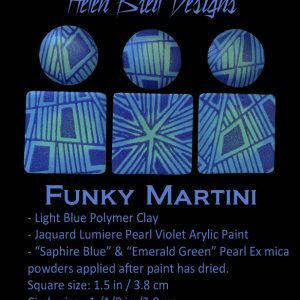 You may also want to check out Helen’s new line of silk screen designs. 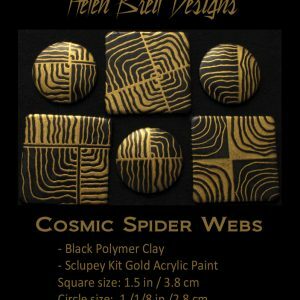 Cosmic Webs Silk Screen by Helen Breil Each silk screen measures 5" X 3.75" (13 cm x 9.5 cm). 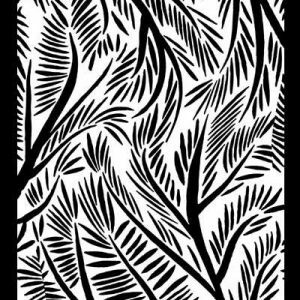 Each design features many pattern-capture possibilities. 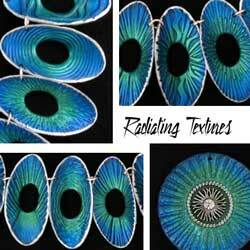 The scale of the designs is perfect for jewelry but can easily be applied for other purposes. 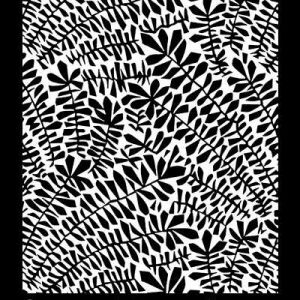 You are free to sell work that you have created using these designs. 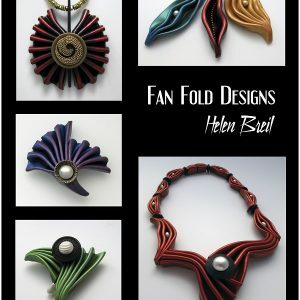 Another beautiful ebook by Helen Breil Fan Fold Designs PDF mini eBook (52 pages, 150 photos) $15 CAD Please note: all of our Helen Breil virtual products will arrive via an email from Mike Breil. We strive to do this in a timely manner. 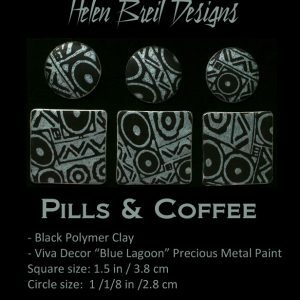 Pills & Coffee Silk Screen by Helen Breil Each silk screen measures 5" X 3.75" (13 cm x 9.5 cm). 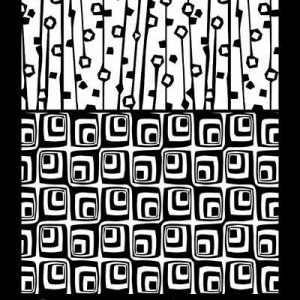 Each design features many pattern-capture possibilities. 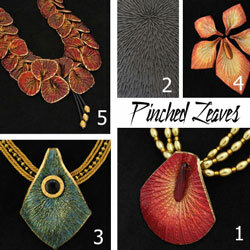 The scale of the designs is perfect for jewelry but can easily be applied for other purposes. 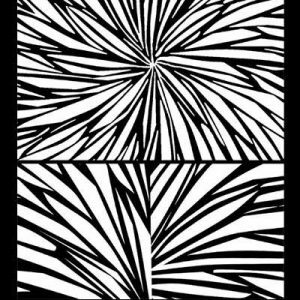 You are free to sell work that you have created using these designs.